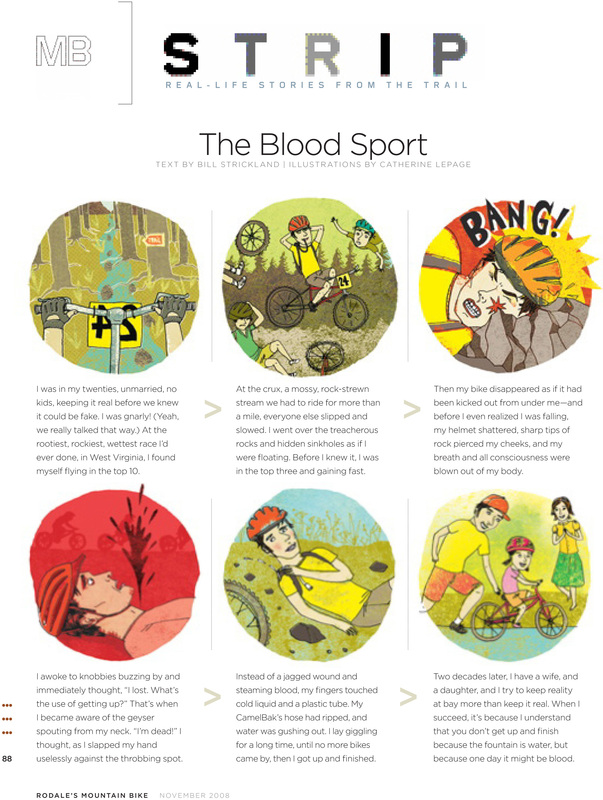 For about a year, the back page of Mountain Bike was a story told in graphic form, in six panels. Editing most of those, and writing a few of them, helped me understand and appreciate plot. Sometimes I couldn’t believe how hard it was to tell even the simplest story in six parts. Other times I was astounded at how any story could be told in six pieces of about 25 words each. I used to sit down with six spaces in front of me and try to plot out books I’d read, or just think up stories from my life that had nothing to do with cycling and see if they could happen in six panels. Everything could. I’m glad I did Strip. Also glad now that it’s done.